Driving on 80 yesterday, doing about 70. 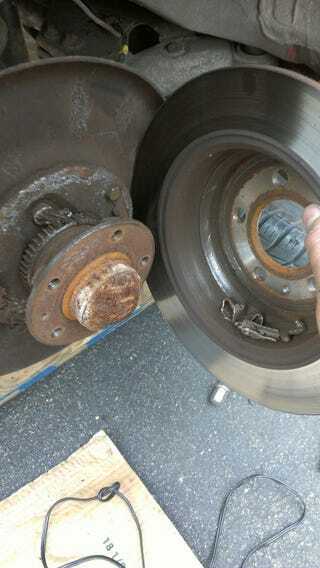 Suddenly the e-brake exploded. Clicking for 8 miles. E-brake handle kept popping up. Took it apart this afternoon, see this. Took all the broken crap out, replaced it. I have no e-brake temporarily, but at least I can drive the car.